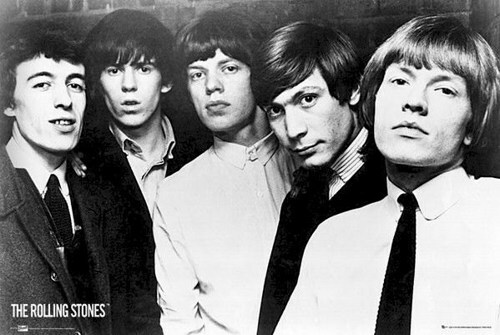 The Rolling Stones’ commercial breakthrough came in mid-1964 with their swinging, country-blues rendition of the Valentinos’ “It’s All Over Now” (written by Bobby Womack and Shirley Womack) which went to Number One on the British chart and just missed the U.S. Top 40. 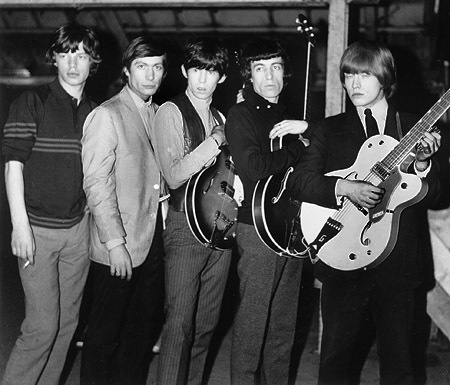 But it was in 1965 that the Stones discovered their own voice with the singles “The Last Time” and “(I Can’t Get No) Satisfaction.” The last of these, built around a compelling fuzztone guitar riff from Richards, is more than a standard; quite possibly it is the all-time greatest rock and roll song. It also captured the Stones’ surly, impolite attitude, which would bring them into disfavor with rock-hating elements in the establishment. Of course, that only made the group more appealing to those youthful listeners who found themselves estranged from the adult world. Aftermath, released in April 1966, was the first Rolling Stones album to consist entirely of Jagger-Richards originals. Their hard-rocking British pop songs detailed battles between sexes, classes and generations. The contributions of Brian Jones, the one-time blues purist, were now key to the Stones’ more eclectic approach, as he colored the songs with embellishments on a variety of instruments including marimba (“Under My Thumb”) and dulcimer (“Lady Jane”). 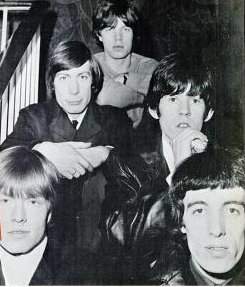 The group’s subsequent singles further pushed the envelope of outrage, which the Stones were learning to work to their benefit. “Have You Seen Your Mother, Baby, Standing in the Shadow” was a pounding rocker whose picture sleeve depicted the Stones in drag, while “Let’s Spend the Night Together” engendered controversy in the States for the bluntly sexual come-on of its title and lyrics. At mid-decade, the three pre-eminent forces in popular music were the Beatles, Bob Dylan and the Rolling Stones. They mutually influenced one another, and aspects of Dylan’s folk-rock and the Beatles’ similar turn in that direction with Rubber Soul were clearly evident on the Stones’ Between the Buttons, which appeared in 1967. It remains the group’s most baroque and understated recording. After the release of Flowers, an album that compiled stray tracks for the American market, the Stones unleashed the bombastic psychedelia of Their Satanic Majesties Request. It was the group’s portentous retort to the Beatles’ “Summer of Love” manifesto, Sgt. Pepper’s Lonely Hearts Club Band. It also marked the last time that the Stones would blatantly shadow the Beatles in a stylistic sense. His replacement was Mick Taylor, an alumnus of John Mayall’s Bluesbreakers, who made his debut with the Stones only days after Jones’ death at a free concert in London’s Hyde Park. With a crowd of more than 500,000, the enormous outdoor concert launched the Stones’ 1969 tour while also paying last respects to Jones. By this time, the Stones had returned to definitive, hard-hitting rock and roll. The string of muscular Stones classics from this period includes “Jumpin’ Jack Flash,” “Street Fighting Man,” “Sympathy for the Devil,” “Honky Tonk Women,” “Gimme Shelter” and “Midnight Rambler.” The last two songs came from Let It Bleed, an album filled with violence, decadence and social cataclysm. Perhaps the all-time classic Stones album, Let It Bleed debuted on the U.S. charts at Number Three, behind the Beatles’ Abbey Road and Led Zeppelin II. While the counterculture foundered, the music scene remained unassailably strong as the Sixties drew to a close. Subsequent albums – Goats Head Soup (1973), It’s Only Rock ‘n’ Roll (1974) and Black and Blue (1976) – yielded solid individual songs but lacked their predecessors’ sustained brilliance. Various factors, including Richards’ drug problems and Taylor’s abrupt departure in 1974, contributed to an air of instability in the mid-Seventies. Even so, Jagger and Richards were now firmly bonded as the “Glimmer Twins” – a name that they used as their joint production credit on albums from It’s Only Rock ‘n’ Roll onward. 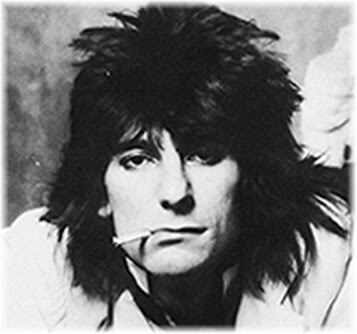 Ron Wood, a member of the Faces and Rod Stewart’s frequent collaborator and accompanist, was chosen as Taylor’s replacement for the Stones’ 1975 tour. He became an official member by the time of Black and Blue, appearing on that album’s cover (even though he’d only actually played on a few of its tracks). Wood’s selection made perfect sense, as he was a British rock and roller who fit in solidly alongside Richards. With Wood’s integration into the lineup, and driven by the insurgent challenge of punk-rock, the Stones rebounded in 1978 with Some Girls, their strongest effort since Exile On Main St. The cover and certain lyrics proved controversial, with the title track eliciting charges of sexism, and the songs paid heed to musical trends, including unmistakably Stonesy takes on disco (“Miss You”) and punk-rock (“Shattered”). Some Girls remains among the group’s best-selling albums, having been certified six times platinum (6 million copies sold) by the RIAA. The Stones celebrated their 50th anniversary in 2012. They released yet another greatest-hits album, GRRR! The album included two new tracks, “Doom and Gloom” and “One More Shot.” On October 25, they played a surprise show to about 600 people in Paris. In November 2012, the group played two shows at London’s The 02 Arena, and in December, they performed at the Barclays Center in Brooklyn and the Prudential Center in New Jersey. The Stones were joined on stage by Mick Taylor and Bill Wyman for these gigs. The band also joined artists including the Who, Eric Clapton, Bruce Springsteen and Paul McCartney for “12-12-12,” the Concert for Sandy Relief at Madison Square Garden. I strongly recommend that you read Keith Richards memoir written with the assistance of journalist James Fox. Published in October 2010. The book chronicles Richards’ love of music, charting influences from his mother and maternal grandfather, through his discovery of blues music, the founding of the Rolling Stones, his often turbulent relationship with Mick Jagger, his involvement with drugs, and his relationships with women including Anita Pallenberg (very much involved with the 60’s New-York crowd) and his wife Patti Hansen. Richards also released Vintage Vinos, a compilation of his work with the X-Pensive Winos, at the same time. Co-writer James Fox interviewed Richards and his associates over a period of five years to produce the book. Life was generally well received by critics and topped The New York Times non-fiction list in the first week of release. Life is a memoir covering Keith Richards’s life, starting with his childhood in Dartford, Kent, through to his success with the Rolling Stones and his current life in Connecticut. His interest in music was triggered by his mother, Doris, who played records by Sarah Vaughan, Billy Eckstine and Louis Armstrong, and his maternal grandfather, Augustus Theodore Dupree, a former big band player, who encouraged him to take up the guitar. In his teens he met up with Mick Jagger, who he had known in primary school, and discovered that they both shared a love of blues music. In the early 1960s Richards moved into a London flat, shared with Jagger and Brian Jones. 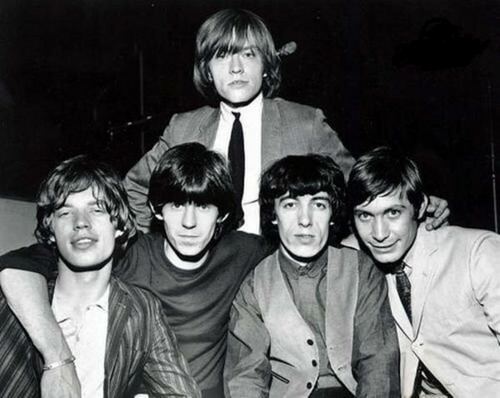 Together with Bill Wyman, Ian Stewart and Charlie Watts, the Rolling Stones were founded in 1962, playing gigs at Ealing Jazz Club and the Crawdaddy Club. The book chronicles Richards’s career with the Stones since 1962, following their rise from playing small club gigs to stadium concerts, Richards’s drug habits, his arrests and convictions. His relationships with a number of women, including Anita Pallenberg, Marianne Faithfull, Ronnie Spector and Patti Hansen, whom he married in 1983, are covered in detail. 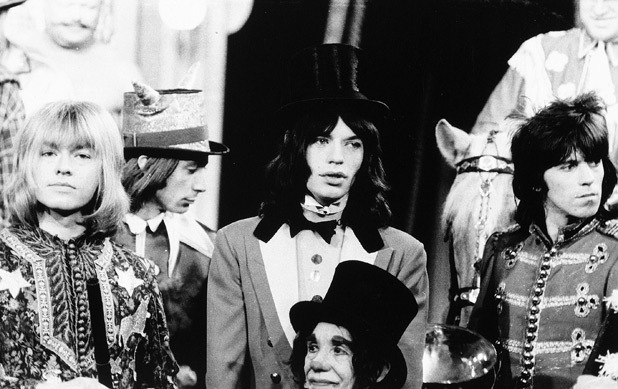 The often difficult partnership between Richards and Jagger is referred to throughout the work and coverage of this has caused much media interest. Throughout the work, much attention is given to Richards’ love of music, his style of playing and chord construction. His non-Stones projects, such as the X-Pensive Winos and recording with the Wingless Angels in Jamaica, as well as collaborations with Chuck Berry and Gram Parsons amongst others are covered in some detail. The book gives you the recipe for such a succesfull and long lasting band, something that you do not get to see that often… Reading it was pure delight so I strongly recommend it to anyone, wether you are a fan or not, you will definitely enjoy this! To have a more complete picture I also strongly suggest that you read Victor Bockris’s much admired biography ”Keith Richards/The Unauthorised Biography” . It has been constantly revised since its original publication, now with an additional 12,000 words for a new edition of the Omnibus Press paperback that brings the story up to the present day. First published in eight countries in 1992, at that time Richards had stood in the shadow of Mick Jagger for thirty years. Then, as a result of Victor Bockris biography, Richards was put in the spotlight and emerged as the power behind the throne, the creator, the backbone, and the soul of the Rolling Stones. Here are the true facts behind Richards’ battles with his demons: the women, the drugs and the love-hate-relationship with Jagger, his struggle with heroin and his status as the rock star most likely to die in the 1970s, his scarcely believable rebirth as a family man in the 1980s. Illuminated with revealing quotes and thoughtful insights into the man behind the band that goes on forever, it will really give you all the overlooked details. A biography that should really be on your book shelter if you are a real fan of the Stones. You will only love them even more. Do yourself a favor and go and buy it. Thorough research done for this publication. I am amazed by the great amount of work you must have done to put this article together. Bravo! TY currently reading Richards Unauthorised biography by Victor Bockris in order to make a good review on it followed as usual by an interview with the author. I can tell you right now that is going to be very interesting too!!! Thank you so much for your support and for having me in your prayers. I can feel from here that some kind of ”contact” has been made between us. I’m not a medium or anything but I do possess what one could call ”super deluxe gut feelings” and I am able to sense those things. I am humbled by your kindness . Thanks so much for caring. May God bless you in his many mysterious ways. Peace Out from Montreal! Stay tuned for my review on Richards bio! SHould be up within in a couple of weeks. Thank you friend. So nice to get from the tone of your message that your mind and heart are brighter. Thanks to Communication Technology we can enjoy the friendship of people thousands of miles away from us and get more fulfilment from it than from those around us. I am looking forward to your review. You make me remember Montreal where I spent a month many years ago as a visiting student. I hope by God’s grace I’ll visit again some day. Do stay well and continue to fuel the light in you. I will not give up hope! Thanks so much and have a winderfull week-end! !Plz do tell me if you come around here! Fantastic article. I am very much a fan, esp. 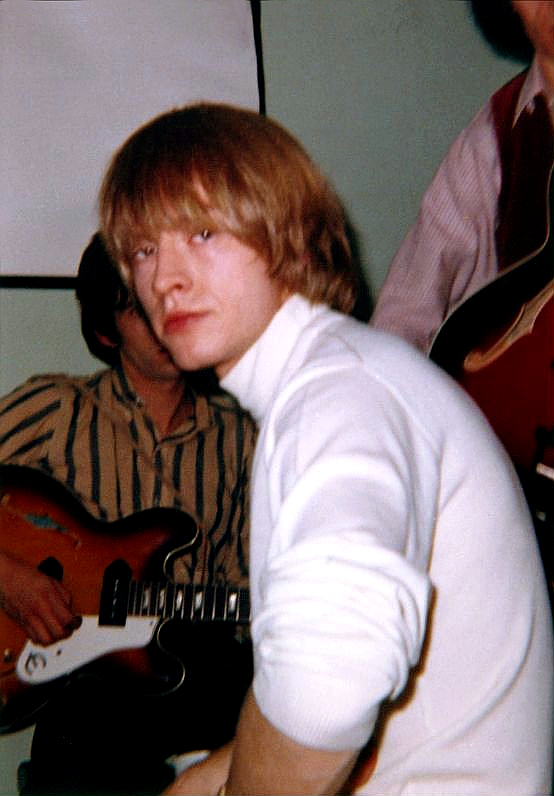 The Brian Jones Era. As one of the 4 J deaths, but Brian gave the sound most enjoyed. So talented. I did not like the bashing from mick and Keith about Brian after his death. I have seen them few times. Here years later, I am loving Keith Richard’s vocals, both with the stones, and group he performs with. Very bluesy. Got to give it to them for longevity. You bet!! I am now reading the Unauthorised biography of Keith Richards by Victor Bockris and a review and q and A will be on in a couple of weeks max!! Thank Robin!! I do think Brian Jones was murdered as were the other J’s. Jim Morrison and Brian Jones having been killed 2 years to the day…But you already know and believe that too. Kindred sould we are my friend… Luv ya MM Bear!! Hugz!